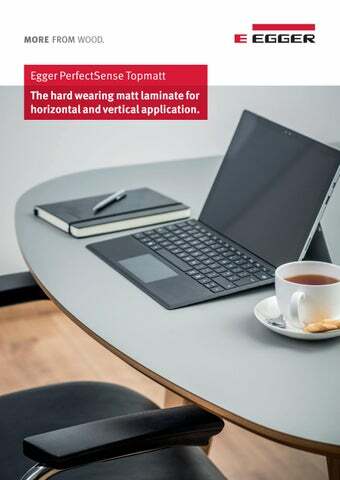 Egger PerfectSense Topmatt The hard wearing matt laminate for horizontal and vertical application. Topmatt looks good for longer. Topmatt is the award winning addition to the PerfectSense range of premium high-gloss and matt products from EGGER. This supermatt laminate, cured using electron beam technology, is anti-fingerprint and scratchresistant. This makes it ideal for both horizontal and vertical surfaces in high-traffic application areas such as kitchens, offices and hotels. The smooth surface is velvety to the touch and hard-wearing, giving a high quality, on-trend, matt finish. Product range PerfectSense from EGGER Choose the most appropriate material for your intended application from this range of PerfectSense Matt products: pre-finished MDF board for furniture, PerfectSense Topmatt laminate for both horizontal and vertical applications, and matching matt edging. Decor overview Stock range PerfectSense Topmatt Laminates are available from stock in nine decors in a 3050 × 1310× 0.8 mm. Product structure PerfectSense Topmatt Laminate is based on curable resins. The top paper layer is lacquered using a special production process and cured using electron beams. EN_HEX_04/2019 Subject to technical modifications and printing errors. All decors shown and mentioned are reproductions. Due to variables in the printing process, colours may vary slightly from the actual product. information, weâ&#x20AC;&#x2122;re here to help â&#x20AC;&#x201C; just call us. 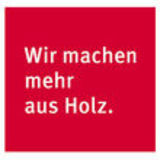 EGGER PerfectSense Topmatt. The hard wearing matt laminate for horizontal and vertical application.